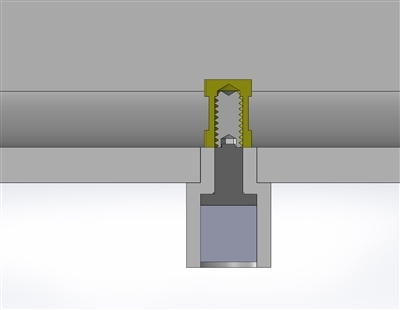 The team at RotoMart has developed a system for holding inserts that eliminates some of the issues currently being experienced with the traditional bolt holding system. Our system utilizes a specially designed bushing in the wall of the mold and a very powerful rare earth magnet. 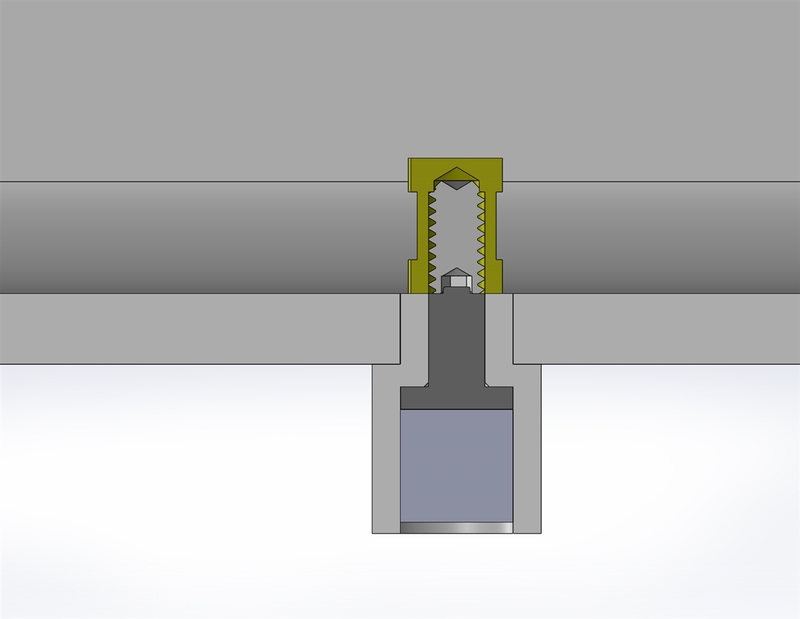 By inserting a steel stud into the insert, it can then be placed onto the surface of the magnet which, in turn, holds it in place during the molding cycle. 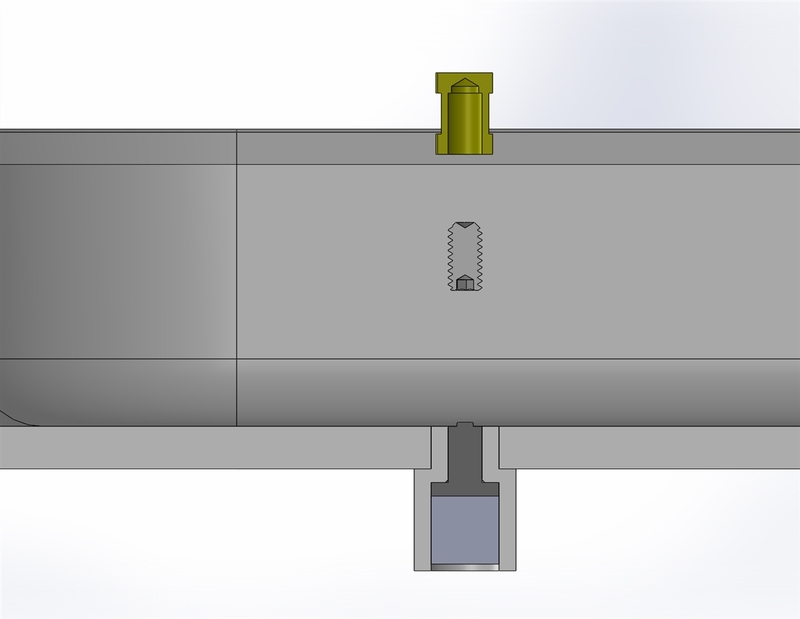 This insertion requires access from one side of the mold only making the inserts easier to install. The strength of the magnet has been designed as just enough to overcome the "motion" of the resin as it tumbles in the mold across the inserts, but not enough to resist the force of the part shrinking. 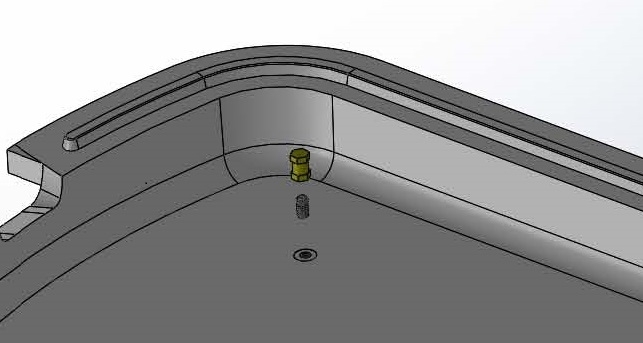 As a result inserts are molded in perfectly and the plastic part is allowed to shrink freely in all directions enabling better shape and dimensional accuracy.